The truth is, electrolysis usually does not cause much discomfort. Modern electrolysis methods have reduced the discomfort to a mere tingling. A topical anesthetic may be used in some cases. Is the electric tweezer method permanent? The truth is, the Food and Drug Administration in Canada recognizes only Electrolysis as a permanent method of removing hair. In fact, it is prohibited for someone to claim that an electric tweezer method is a form of permanent hair removal. Can temporary methods of hair removal be better? Chemical depilatories (liquids or creams) are often used to remove body hair. These products contain irritating chemicals and can be time-consuming and messy. Likewise, bleaches contain harsh chemicals and do little to disguise dark hair. They may also discolour the skin. Waxing is another temporary method of hair removal and is usually done in salons. Hot wax is applied to the skin and removed once it has dried over the hair. The hair is stripped off when the wax is removed. Waxing can be painful and costly. Home waxing kits are available, but they can be difficult to use and messy. There are electrical electrolysis devices available for home use that try to copy the devices used by professionals. These devices are often unsafe for use by anyone who is not trained in electrolysis. Electrolysis is a time-tested method that was invented more than 100 years ago to remove irritating, in-grown eyelash hairs. Most areas of the body can be treated with electrolysis, including the eyebrows, face, thighs, abdomen, breasts, and legs. There are no permanent side effects. Sometimes, a slight reddening of the skin occurs during or immediately after treatment, but this will only last for a short time. Electrolysis is very safe and, unlike depilatories or bleaches, no harsh chemicals are used. 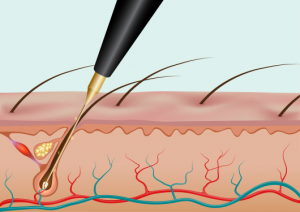 How Do I Choose an Electrologist? 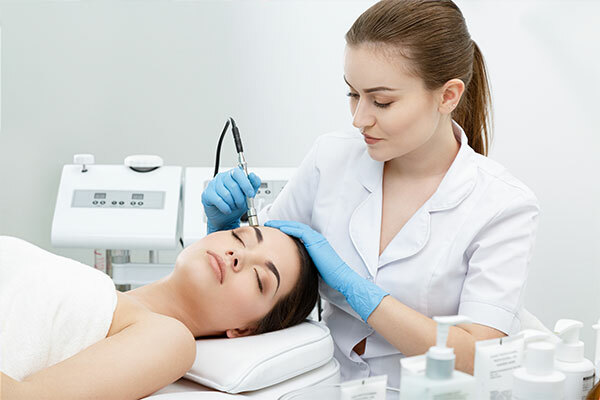 Electrologists are people who have undergone training to professionally administer the electrolysis procedure. If you are considering undergoing electrolysis, it is very important that you do your research before committing to an appointment. The wrong decision can mean extra sessions and cost and unnecessary discomfort. By following the guidelines listed below, you can take comfort in knowing that you will be making an educated and informed decision when choosing an electrologist. Know their qualifications. Canada requires that electrologists be licensed or certified within the Province in order to practice electrolysis. Be sure the practitioner’s certificate is current and fully on display. Ask around. One of the best ways to find any good service is to ask friends and family for recommendations. If you know anybody who has undergone electrolysis, ask for his or her input. Get a consultation. Many places will give you a free consultation. During the consultation, be sure that any and all of your questions about the procedure are answered. Some of the questions you can ask to include: how the procedure will feel; an estimate on the number of visits you will likely need; the cost of each visit (this will vary from place to place, and it is best to call around); the length of each session; how long they have been in business; and the number of clients they have treated. Use common sense. When you go to your consultation, look around. Does the place look clean? Does the electrologist look clean? Do they use disposable gloves or probes? The person performing the treatment does he or she strike you as professional? If you are not personally comfortable with somebody, do not go to him or her. Personal comfort is essential to know you have made the right decision in choosing an electrologist.